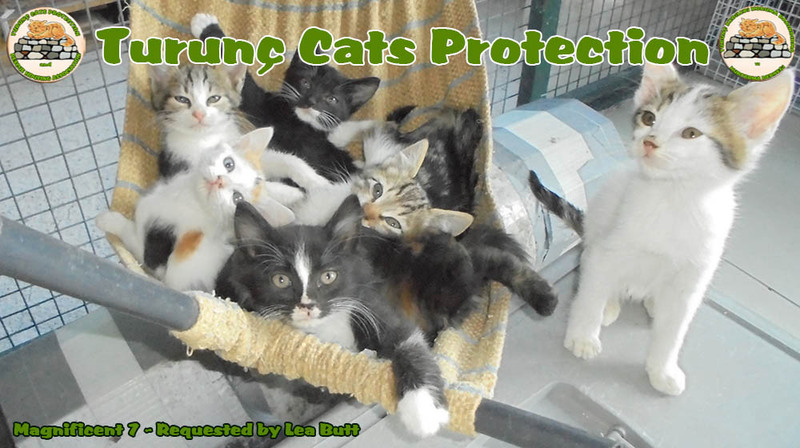 Lea has started a new fb page to reflect our new name - Turunç Cats Protection and Rescue Housing Association. It's accessible as ever from the Home page. Our old Turunç Cats Welfare page can still be found here. Some of our commitee members went to the Kaymakan office in Marmaris today, and picked up all the paperwork for our charity. As part of the registration process we have been given a new name. 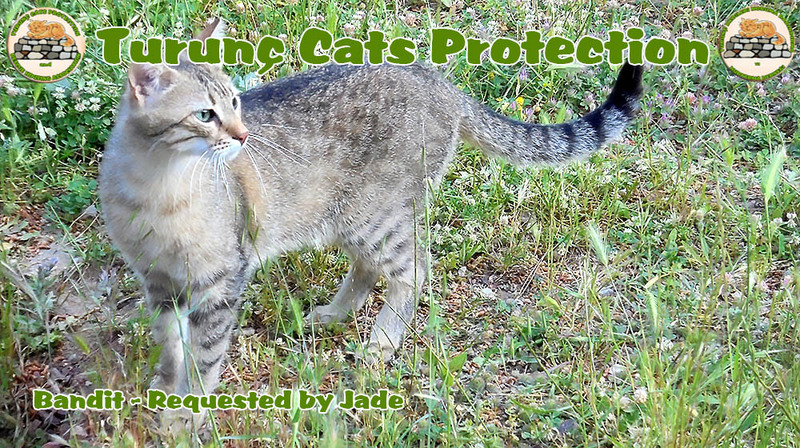 We are now called - Turunç Cats Protection and Rescue Housing Association. A really snappy title! Our charity number - which should double our allowance of charity baggage with Thomas Cook - is 48 015 019. To go with our new name, I redesigned our logo. We have some fantastic news. Today we have been given the ok to open the cat shop on Sunday (Tomorrow). We will be open from 10 til 14.00. Our Charity registration process is nearly complete, so we are going to hold a re opening do next week to celebrate Turunç Cats Welfare becoming a registered charity. We would like to thank everyone who has supported us. There will be free cakes and drinks at an opening ceremony where we hope some special people will be attending. Everyone is welcome, we are looking forward to seeing you all there. Yesterday 27th April 2014 one of our committee members Margaret Richards resigned from the Turunç Cats Welfare committee. As a committee we would like to thank Margaret for all her dedication and hard work over the years. Margaret has very kindly offered to continue to support Turunç Cats Welfare with her own fundraising events. Margaret’s next Coffee Morning is on the 17th May. The big day has finally arrived. The QR is finished and sitting in Jim's garden as a kit. Would we be kind enough to come and pick it up? Semih arranged transport, I arranged some willing and able bodied men - well, willing at least - and off we went. As you can see from the piccies - click here all went well. After a busy day the cats now have a quarantine room for when they are poorly. Just need to do the final fitting out. Thanks to Doug, Jim and Alan for giving freely of your day. Construction of the QR cabin is proceeding well. Jim and Ken are performing 'above and beyond' to complete it in this weather. There are some more photo's here. Construction of the Quarantine Room is proceeding well. As promised I have brought you some more photo's. I have put together a gallery that I will add to as and when. 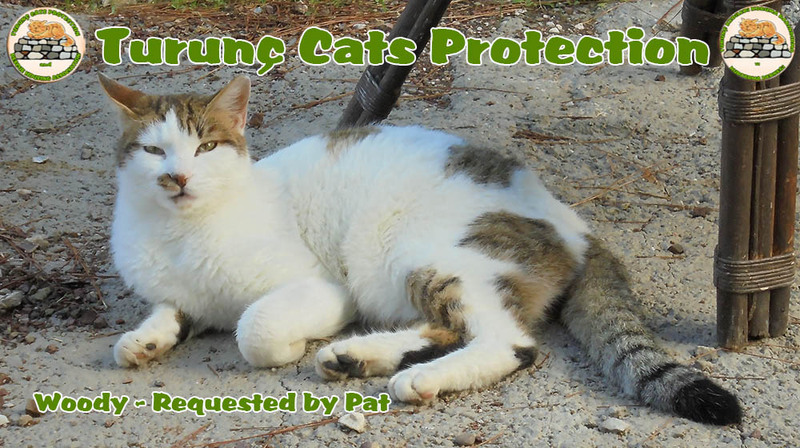 Click this link to go to the Turunc cats Quarantine Room gallery. If you have been following TCW on fb you will know about our project to have a quarantine room built. This is the first delivery of wood, Jim and Ken will be starting to build the QR on Thursday. This pile of wood was kindly donated by a lovely couple who wish to remain anonymous. Thank you kind friends. We will be taking photos of the QR being built and I will be sharing them with you. We have been completely overwhelmed by the response and generosity of people willing to give of their money and/or time to assist in this project. TCW was again 'presented' with 2 kittens. We were told they had been abandoned by their mother. These were younger than the earlier pair, so needed greater care and attention. The group was 'presented' with 2 feral kittens that had recently been neutered, and in need of a home. For sometime the cabin has needed a dedicated space for our big cages, rather than just being left on the floor. Les, our treasurer kindly setup a raffle and donated the proceeds that allowed the acquisition of a bespoke stand and another 4 much needed cages. We also took the opportunity to make use of a scrap frame that had been discarded. This was converted into extra outdoor winter shelter. We have had a mention in the most recent issue of “The Cat”, which is the publication of the Cat’s Protection League in the UK.